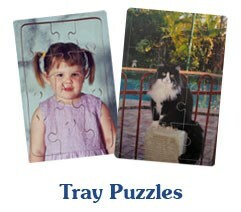 Have your favourite photo made into a jigsaw puzzle. 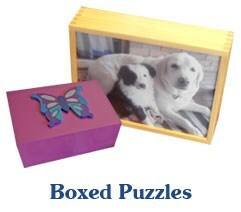 Puzzles are cut with a frame and baseboard and made from 4mm MDF. 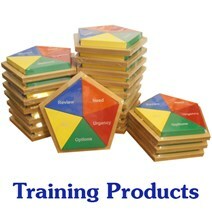 Alternatively, puzzles can be cut and stored in a personalised box. 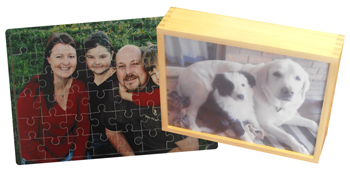 Send us your favourite photos on a disk, USB device or email them to us at enquiries@woodpuzzles.com.au and we can make them into jigsaw puzzles. Images need to be of a good quality to allow clear enlargments (around 1MB at 300dpi is ideal). A discount is given for multiple puzzles of the same size and number of pieces ordered at the same time (can be different pictures).